I unearthed a top recently, from the deepest, darkest depths of the wardrobe. I never wore it much when I first bought it because the neck didn't really sit quite right (I think I was too fat), but I had lusted over it for such a long time on the interweb, that I took pleasure just from owning it. At one point I almost got rid of it, thinking it was destined to be one of those pieces that you take out of the cupboard, put on, and then switch for something else, 30 seconds before leaving the house. I have a lot of clothes like that, but lately I've been very good at off-loading them on to my friends, or putting them in a growing pile next to the door to take to the op shop* (I plan to donate them to Dress for Success, but they seem quite picky and I am paranoid that my clothes will be found wanting). Anyway, to hell with the gaping neck. This top is amazing. It's from Etsy seller Dandyrions. 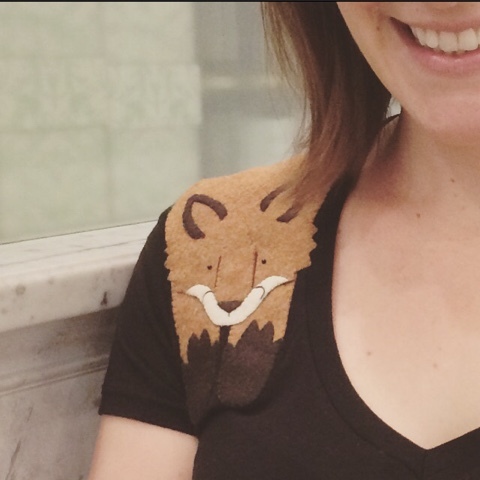 She even has a fox applique so that that you can DIY. Oh, Ladurée. 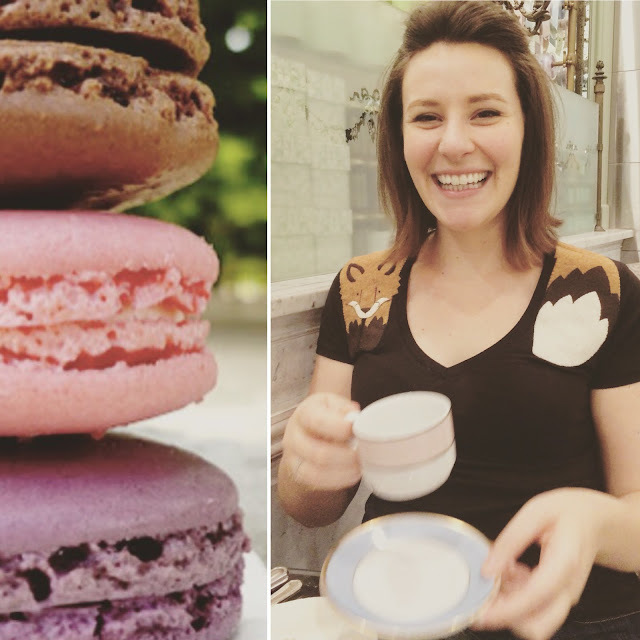 I loved macarons before they were cool. I continue to love them, although they have now been been toppled by the cronut. *A little side story: a while back, my friend Nicky did me the favour of removing from my house one of those growing piles of clothing, delivering it for me to the op shop coordinating depot/distribution centre. A few weeks later, I found myself in an op-shop in Summer Hill with my friend Helen (upon whom I off-load many clothes). Browsing through the racks, I found a little navy cardigan. It was very sweet, and I could think of many things with which I could wear it.I held it up to inspect for defects, and was just about to put it in my basket when I noticed a little loop of pulled cotton near the button hole. Friends, at that, I put that cardigan back on the rack. Not because it had a loose thread, but because upon seeing that thread I realised that I had already bought the cardigan, as I was in fact, its previous owner. It was a very nice cardigan though.